I know, I know, InGen are the bad guys. But I couldn’t help it once I thought of the title, so I’m going with it. Won’t happen again! Unless you live under a rock, you know Jurassic World, the long-awaited fourth instalment of the Jurassic Park franchise, hit theatres on June 11. And if you use the Internet or watch TV, you’ve probably seen a trailer, a tweet, a Facebook post, a video, an interview, an article, a vine, an infographic – you get the idea. For months now, Jurassic World has been everywhere. Despite the overwhelming popularity of dinosaurs and anything Jurassic Park related, the marketing campaign for Jurassic World has been nothing short of epic. 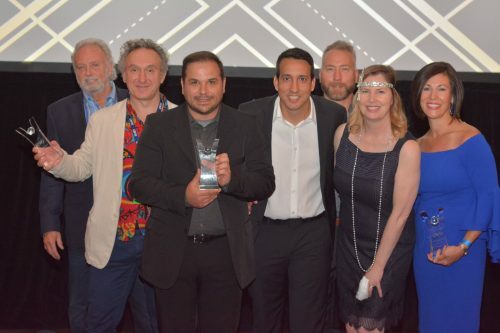 Seeing as I’m a little bit of a nerd (yes, as of this writing I’ve already seen the movie; and yes, I went opening night) I thought it’d be fun, interesting and informative to break down the marketing components of Jurassic World’s digital campaign. Oh, and in case you were wondering, the marking seems to have worked. Jurassic World made over 500 million during its opening weekend, and set the record for biggest opening weekend at the box office. Ever. 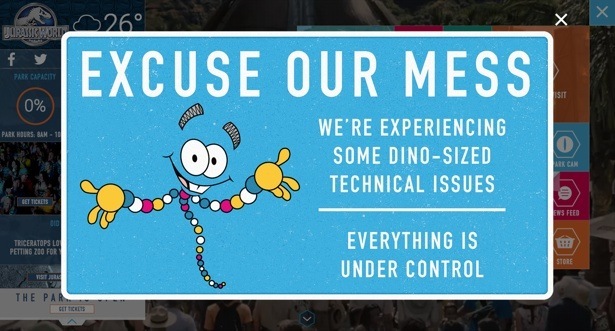 So, what’s special about Universal’s dino-sized marketing effort? More than any tactic, trailer or interview, it’s strategy and execution that got moviegoers interested (and buying tickets) well before the film’s release. 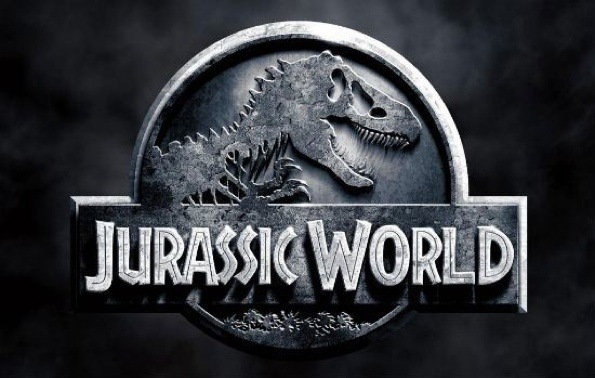 Here’s our perspective of Jurassic World’smarketing, as fans and as marketers. Jurassic World’s goal is simple: make money. To be profitable, a movie needs to drive people to the theatres, and the more sales made in advance of release, the better. 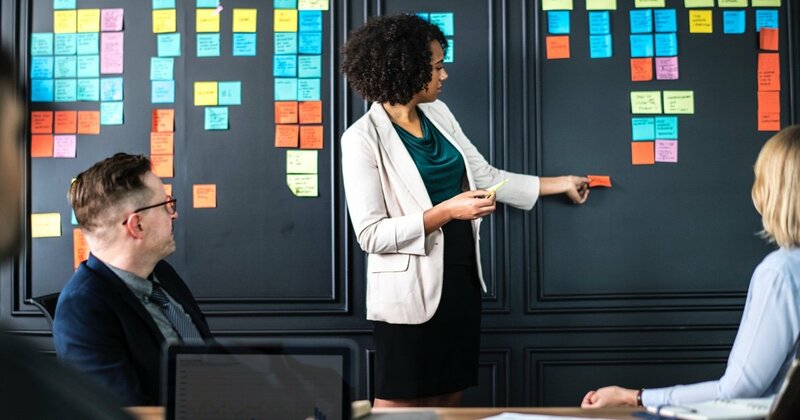 When we say strategy is an integral part of a successful marketing campaign, we mean it. But we don’t say they strategy needs to be overly complex! For Jurassic World, the strategy is straightforward: generate anticipation for the movie via any channel where fans are active, and then funnel them towards a conversion (buying a movie ticket). The strategy can, of course, be segmented for different audiences, which I’m sure Universal did. Big fans of the original Jurassic Park film are a safe bet to buy a ticket for Jurassic World, but what about people who were turned off by the disappointing sequels? Or the younger generation of movie fans who haven’t seen Jurassic Park? And people who like dinosaurs but have never heard of Jurassic Park? 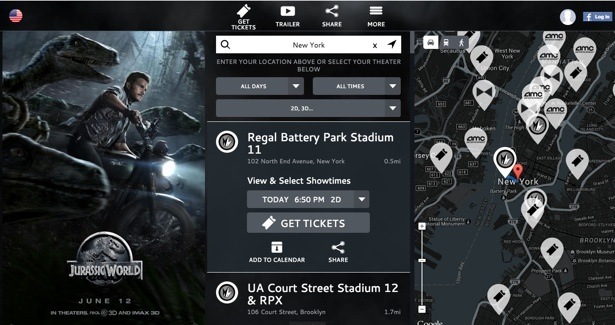 Regardless of the audience, though, the goal remains the same: sell movie tickets. 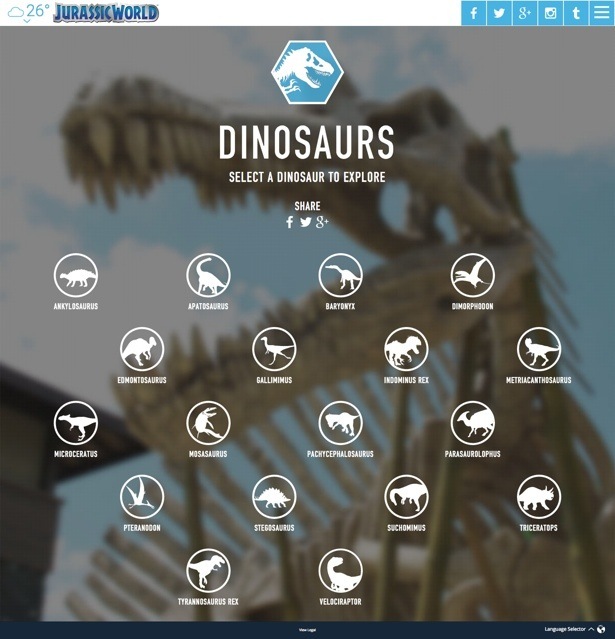 Jurassic World’s website is no ordinary movie site. Usually, a movie site has a trailer, some media and PR material, and if you’re lucky, an interesting piece of content or a gimmicky game (now that I look, there’s one of those, too). 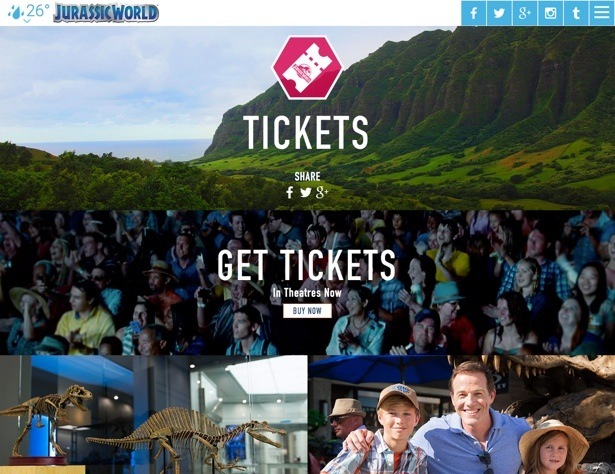 JurassicWorld.com is a thing of beauty; it’s a real site for Jurassic World the park, and it treats users not as moviegoers, but as potential (or current) park visitors. First of all, I’m going to have a little nerd freakout because I navigated to the site for the first time since the film’s release, and here’s what it looks like. DINO DNA! Nostalgic nod to Jurassic Park; real-time marketing in action; genuinely cool stuff, which as a fan of the franchise, immediately captures my interest. To tell you the truth, I can’t wait to go see the film in the theatre for a second time! 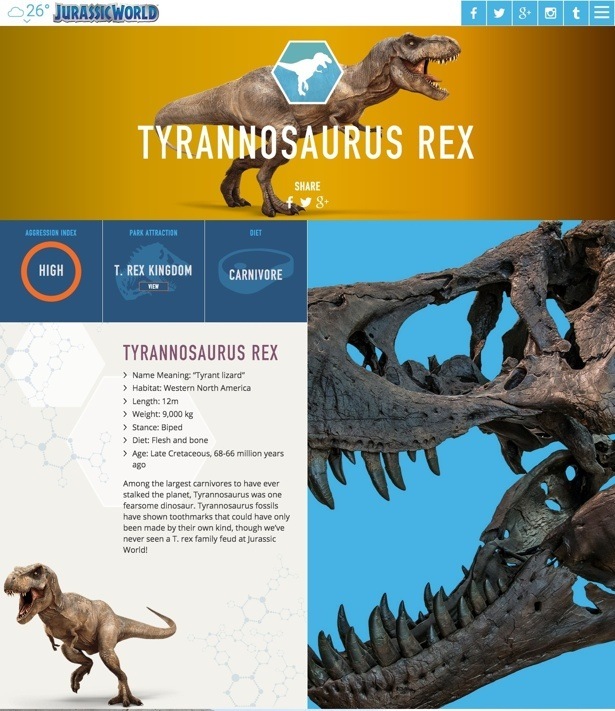 And then each dinosaur has its own page with facts and details. For a fake park! 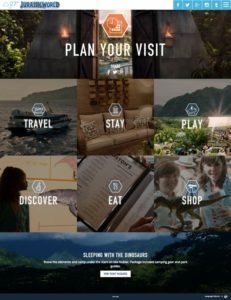 Did I mention the Jurassic World site was launched a full 7 months before the film’s release, so it’s been drumming up interest with its in-depth user experience this whole time? They spared no expense! I’m not even sure if this was part of the larger marketing effort or something Trevorrow did on his own, but either way it’s brilliant. For those who don’t know, the picture is of the East Dock sign Dennis Nedry crashed into during Jurassic Park. And for those of us who instantly knew what this tweet meant, was there any doubt you’d be there opening weekend once you saw it? It’s the perfect blend of nostalgia and excitement…a full 9 months before the movie’s release! 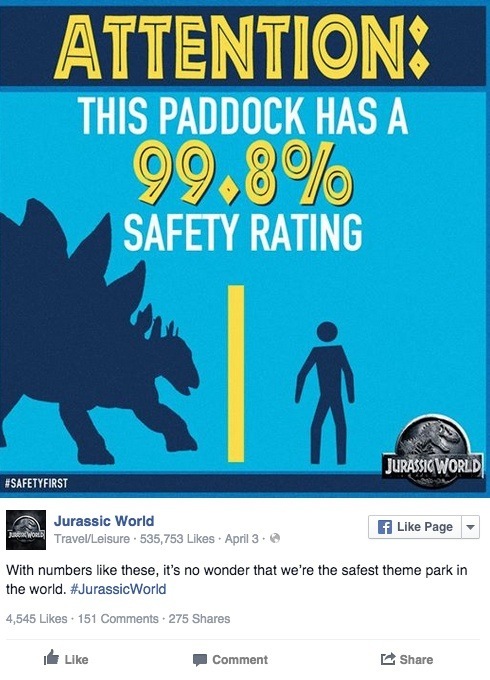 If you head over to the Jurassic World Facebook page, you’ll see post after post of cool images and quips like this one, all in the name of getting people excited to see the movie. …buying a movie ticket! 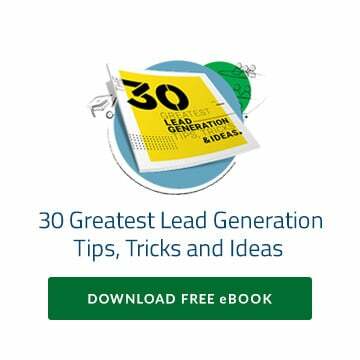 Seriously, though, that’s where every page and post of Jurassic World‘s digital marketing material funnels. The content, which as I mentioned is geared toward actual customers of a real dinosaur park, leads readers along a purchase journey to buy park admission passes. I’m sure you can guess at the end of the journey, you won’t be buying park admission passes but instead, movie tickets. Even though I realized what the site was attempting to accomplish while I was going through the content, it’s still just cool to follow the journey because it makes you think: if there really was a dinosaur theme park, this is how I would buy tickets. Boom, there it is, the conversion goal the Jurassic World marketing team wants me and every other site visitor to complete. 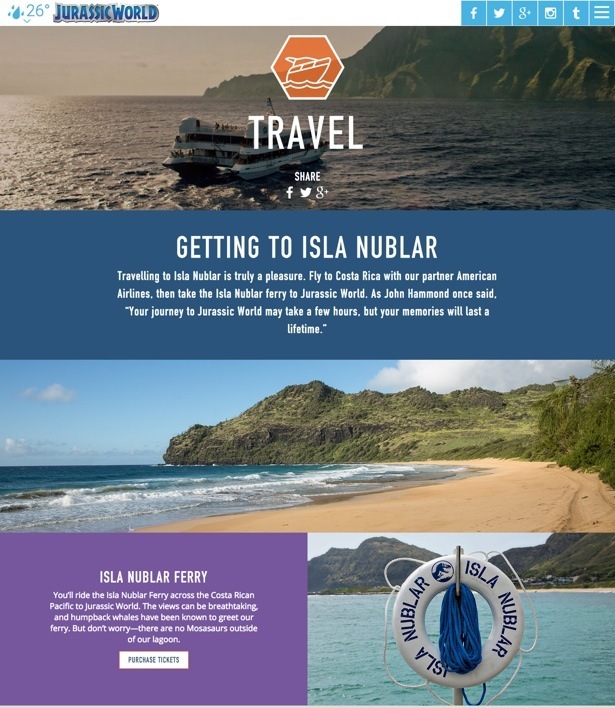 With three full pages of information on a non-existent ferry, the site builds an experience for the consumer. It’s also a form of qualification since if you’re even remotely interested in Jurassic World, you’ll read all these pages, and then when you get to the end, how can you not buy a ticket? The only explanation for not buying a ticket is that you already have one! Look, I’m a Jurassic franchise fan, and I’m sure that much is clear. But I’m a bigger advocate of exceptional marketing, and you’ll struggle to find a better full-scale marketing campaign than the one Universal put together for Jurassic World. Sure, they likely had the luxury of a huge budget and an army of skilled marketers, but at the end of the day, it’s about return on investment, so I’ll let the box office numbers do the rest of the talking. Have you seen Jurassic World? What did you think of the movie and the marketing campaign? 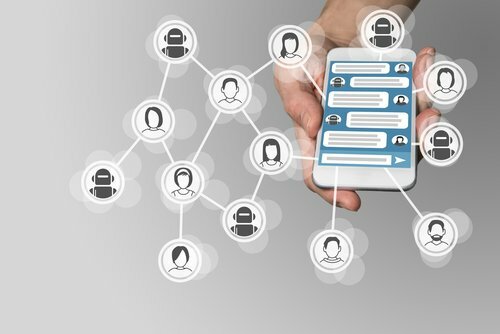 Let us know on Facebook or Twitter!